I just wanted to take some time to thank everyone who has supported my endeavors in fashion throughout 2013. It's only been a little over a year since I started posting my amateur mirror pics on Instagram to showcase my outfits. 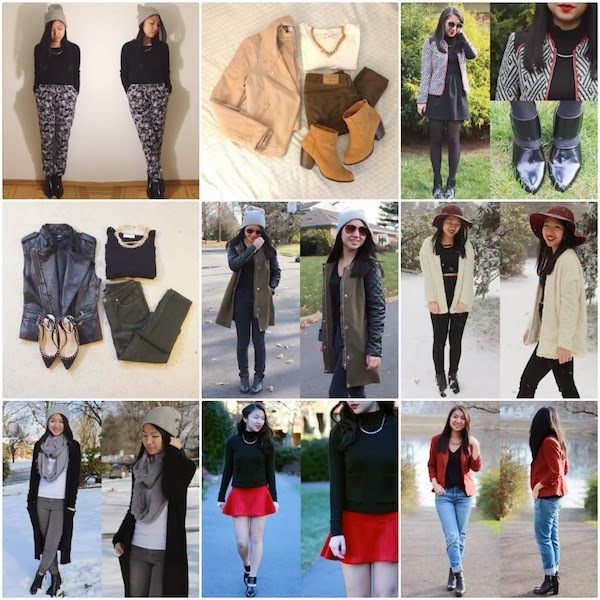 I never would have imagined creating my own personal style blog by the end of 2013! I truly appreciate the sincere words of encouragement and support I have received from my first post on Instagram to this blog. I hope that I have been able to inspire some followers/readers in regards to style. 2013 was a life-changing year for me, and I can only look forward to what 2014 will bring to the table! 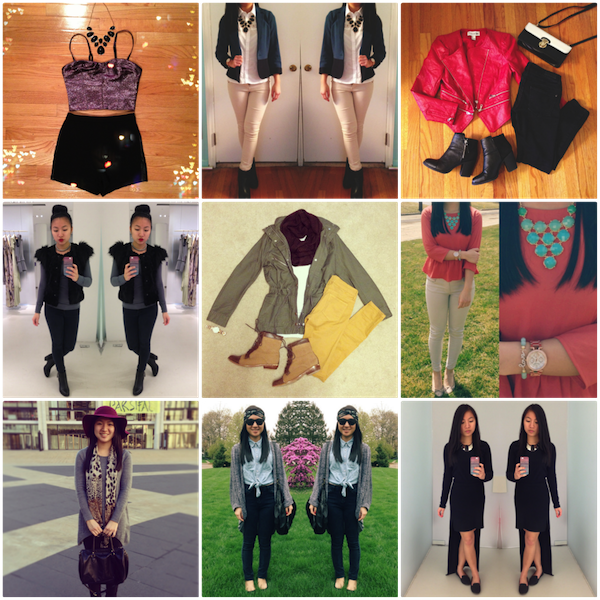 That being said, I created a collage of some Instagram highlights starting with my NYE outfit post from January 1, 2013. From attending a fashion school to getting inspiration from hundreds of Instagrammers and bloggers, my style has evolved over the past 12 months. Staying connected with so many fashionistas has improved my own creativity and confidence in personal style. 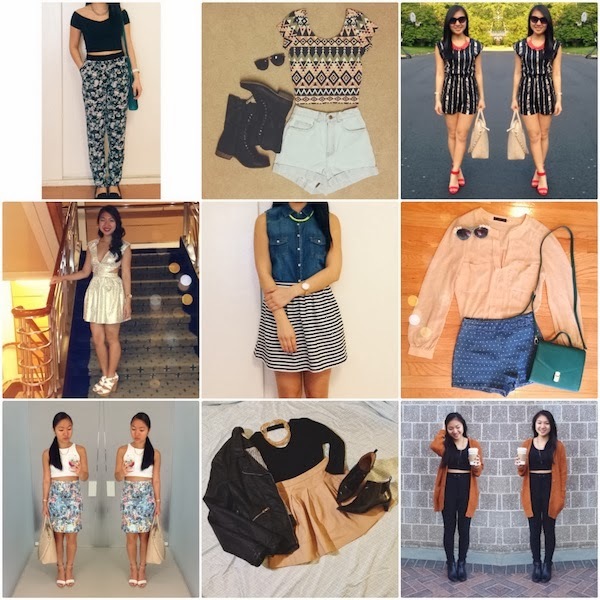 Check out my Instagram (@christinalau_) for yourself and take a glimpse at my journey through 2013! I feel truly blessed to have been able to interact with so many people on this account, and I am excited to see how fashion evolves in the coming year. Please comment below if you have any questions/comments about the outfits above. Thank you again, and let's make this year a fabulous one! Haha :D I love to post mirror pics to in my instagram. even my blog. when I started it. Love this collage girl! You're blog is amazing! Wishing you all the best this year =) Thanks for all the love and support. Aw, thank you as well!! You are always so sweet!! Loooove your style! Officially obsessed with your red leather jacket and your white crop top + floral skirt look! Love your blog and I'm so glad to connect with you through Instagram! Hopefully I get to hang with you and take pretty pics with you soon! <3 you are such a stylish and lovely person :) Happy 2014 love! Work hard, Play hard, for us two! mwahhh hehe. Also...thanks so much for your support. Love you girl. Happy New Year!!! You have such a cool style! amazing outfits! have a lovely new year! Just followed you on Bloglovin!! :) I love your site!